Kalyanram 'Patas' has managed to collect good numbers in its 4th Days as well, as Today is holiday it has earned good numbers Its 4th Day estimated collections would be close to 2 Crores and Overall 4 Days worldwide Collections would be around 8+ Crores. Its Excellent so far thanks to long weekend(as Monday is holiday) It was sold for around 9 Crores and it already collected 8+ Crores in 4 Days, so before first week itself buyers will start getting Profits. 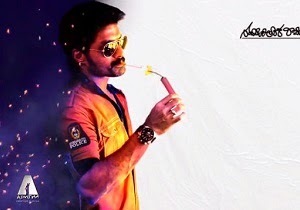 Its a good come back for Kalyan Ram. Watch this space more update..